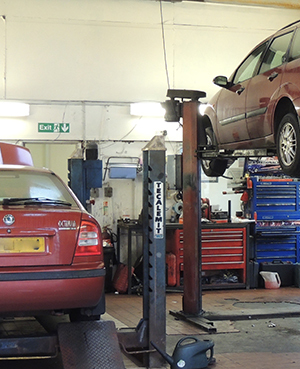 If your car needs an MOT test, repairs or servicing, Wokingham MOT and Service Centre can help. We are always happy to you show the old parts – but please ask first, we don’t like going through the bin! For the new driver or anyone who would like to know more about how their car works, please ask: we can show you how to check the tyre pressures, coolant level, oil level and more. From a simple oil change to a main dealer servicing schedule (important while vehicles are still under manufacturer’s warranty), we can do as much or as little as you ask us to. We check and replace brake pads, discs, shoes, drums and handbrake adjustment. We supply and fit tyres (the legal minimum depth is 1.6mm), and we check and adjust tracking. Re-charging and pressure testing for leaks. For MOT failures and corrosion, welding to a high standard. We have equipment available for diagnosing engine management, other warning lights and poor running of your vehicle. Checking and replacing clutches, cambelts and suspension. If we are unable to help you, we probably know someone who can, so just ask. Please visit www.gsmotorcycletyres.co.uk for all your motorcycle servicing and repair needs.